In an improbable twist of distilling fate, a one-stoplight town in southern Tennessee is home to the top-selling American whiskey in the world. In fact, every shot of Jack Daniel’s whiskey sold around the globe is made in the tiny (otherwise dry) town of Lynchburg. This wide spot in the road attracts over 300,000 visitors a year to see how Tennessee whiskey is made at the Jack Daniel’s distillery on the edge of town. Less than two hours from Nashville, the Jack Daniel’s distillery is certainly a place to see how craftsmanship and attention to detail have built a fine brand and drinks that many people swear by. 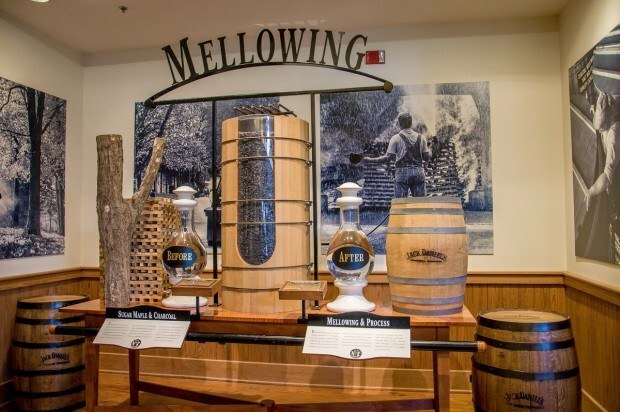 A distillery tour here is also a walk through the 150-year history of Jack Daniel—the man himself and his namesake products. It’s a look at the impact of Prohibition, the rise of a family business (at least for the first 90 years or so), and making it “the best we can” every day, as a sign in Jack’s old office proclaims. And you don’t even have to be a whiskey fan to have a good time. Jack Daniel was a force of nature. At only 5 feet 2 inches tall and wearing a size 4 shoe, he had to be a bit fiery and a lot gregarious to get things done. He was known for his love of music and throwing parties, which always attracted quite a lot of attention in sleepy little Lynchburg. He was an avid traveler, bringing back new instruments, unusual items, and fancy clothes from his travels around the country and around the world. No doubt that these curiosities contributed to his ability to attract the ladies. Although Jack never married, he was rarely without a lady or two on his arm. When he died in 1911 at the age of 61, two wrought iron chairs were placed in front of his grave so that the women could have a proper spot to mourn. Nothing shows Jack Daniel’s spitfire personality more than the story of his death. One morning, Jack was frustrated when he forgot the combination to his safe. Losing his temper, he kicked the safe so hard that he broke his toe. Over time, his foot didn’t heal correctly and the resulting infection ultimately killed him. The end to Jack Daniel’s life was just as dramatic as his early years. One of 13 children, Jasper Newton “Jack” Daniel ran away from home at the age of 7. Both his parents had died—his mother when Jack was an infant and his father in the Civil War. Rather than be forced to live with his stepmother, whom he despised, Jack took off. He became acquainted with a local storekeeper and minister, Reverend Dan Call. In pretty short order, Jack apprenticed to Rev. Call and took up a trade not terribly common for seven-year-old boys—whiskey making. Over the course of a few years, Jack learned the ropes from one of Rev. Call’s slaves, Nearest Green, and the whiskey increased in popularity. At the same time, pressure mounted from Rev. Call’s congregation, suggesting that whiskey making might not be the best for a man of the cloth. Call chose religion over distilling and sold the business to Jack for only $25 when he was 20 year old. What is Jack Daniel’s Tennessee whiskey? So what did Jack make at his $25 company in Lynchburg, Tennessee? Tennessee whiskey, of course. Though there is a set of common standards, different types of whiskey are made and aged differently around the U.S. and around the world. We’ve seen it done in five-gallon barrels at a renowned distillery under a bridge in Waco, Texas, and at a 230-year-old distillery on the coast of Northern Ireland. Everyone has their own spin. Jack Daniel’s whiskey is made from corn, malted barley, and rye and is distilled in copper stills. This part of the process is fairly common across distilleries. The resulting white whiskey is then drip filtered through 10-foot stacks of sugar maple charcoal, which is produced on-site. It is this step that sets Tennessee whiskey apart from any other type. Although it sounds like the charcoal would impart a flavor into the product, curiously, it doesn’t. After the filtering, the whiskey is stored in newly handcrafted toasted oak barrels, which give it color and most of its flavor. Jack Daniel’s whiskey ages for 4 to 7 years. 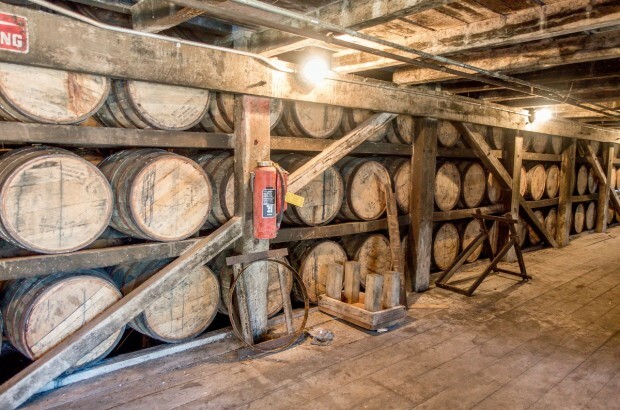 In a place like Tennessee, the weather plays a large part in the aging – if it’s particularly warm, the whiskey will take on more flavor from the barrel faster because of how the barrels breathe as the weather changes. If it’s unusually cool, things may take a bit longer. That’s why their master tasters are also an important part of the process, making sure that the taste and color are right through every step. The Jack Daniels tour was one of the most information-packed tours we’ve been on in a long time. And somehow every bit of it was entertaining. From the tales of Jack himself to seeing the distillation process firsthand, we were engrossed in all of it. The traditional distillery tour took a little more than an hour, and there was a lot to see. The distillery tour began with a bus ride up to one of the 87 warehouses where we got just a glimpse into how much whiskey is really on this property. From there, it was all on foot. We wound our way downhill to the rickyard, an area that plays a key role in the whiskey-making process. Here, they burn enormous towers of Jack Daniel’s-sprayed sugar maple wood until it becomes charcoal. This is the charcoal that is ultimately ground down for use in the filtration process—the thing that separates Jack Daniel’s Tennessee whiskey from other whiskeys and bourbons. The next stop was the cave spring. The naturally-occurring spring that flows through a limestone cave was one of the main reasons Jack Daniel chose to put his distillery here. Thanks to the limestone, the water is filtered of all iron, making it a perfect component of the whiskey fermentation process. Without the spring, Jack Daniel’s wouldn’t be Jack Daniel’s. After a look at Jack’s office and the aforementioned offending safe, we were off to see the heart of the operation in the still house. The first step that is handled in the still house is fermentation, which has the strong odor of baking bread. We’ve seen fermentation in a number of distilleries in the past (in Nashville and beyond), but it’s nothing like what takes place here. There are over 100,000 gallons of mash fermenting at any given point, producing what I can only describe as a wall of carbon dioxide. As we approached one of the fermentation tanks to see the cool bubbling reaction happening inside, the strength of the gas almost knocked us over. From there, we got a glimpse at the filtration process. Every ounce of the white Jack Daniel’s whiskey is pumped into the charcoal at the rate of a gallon per minute. As the whiskey drops through the 10-foot tank, any remaining impurities are removed. When the master tasters decide that it’s ready, the whiskey is bound for the barrels. Jack Daniels distillery currently makes five core products—Old No. 7 (black label), Gentleman Jack, Single Barrel, Tennessee Honey, and Tennessee Fire. And since we were on the tasting tour, we got to try them all. Interestingly, all the products are made from the same base recipe in the same way. It’s only after aging that they are filtered further (as with Gentleman Jack) or have flavoring added (as with the Honey and Fire liqueurs). The tasting room is where we got to learn the right way to taste whiskey. Taking a small first sip gets you over that initial shock to the palate. Then gently sipping and swirling the whiskey around your mouth really brings out the different flavors. And what different flavors they were. We had both tried the Old No. 7 and Gentleman Jack in the past, but the other three products were totally new to us. And even though we’re not exactly whiskey aficionados, we loved the praline notes of the Tennessee Honey and the smoothness of the high-end Single Barrel (an actual single barrel, which makes 240 bottles, can be bought here for a mere $10,000). I was also a big fan of the Tennessee Fire, which is kind of like the tastes of fall in a glass. Jack Daniel’s distillery is in Lynchburg, which is located about 1.5 hours southeast of Nashville. 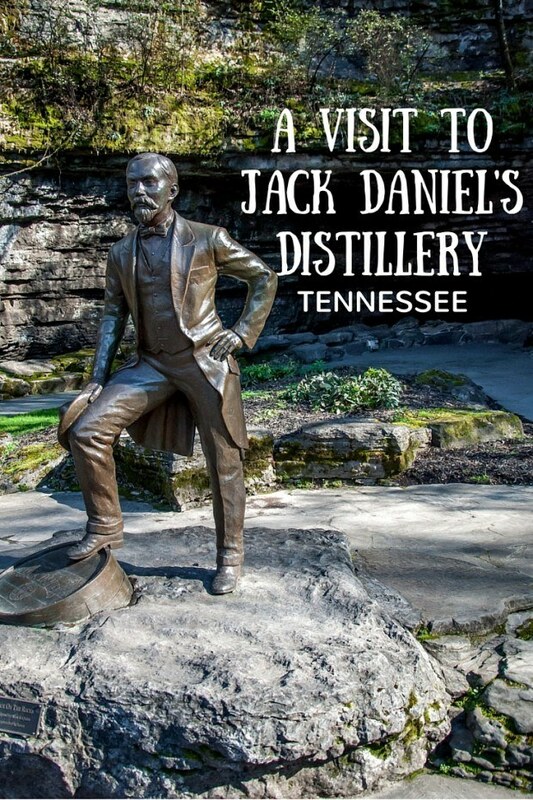 There are five options for Jack Daniels distillery tour. The Dry County Tour takes just over an hour, and the Flight of Jack Daniels Tour (the one we did) and The Angel’s Share tour both take about 1.5 hours. The 3-hour Taste of Lynchburg tour includes a meal at the famous Miss Mary Bobo’s restaurant as well as a distillery our and whiskey tasting. The Mr. Jack Toast in the Hollow tour is great for those with limited time because it’s just a half-hour. Most of the distillery tours require walking, and much of the time is spent outdoors, so dress appropriately. Tours are conducted daily from 9:00am to 4:30pm and are done on a first-come-first-served basis, or you can book in advance on their website (recommended). The White Rabbit Bottle Shop (the Jack Daniels distillery store) sells all the different Jack Daniel’s products. You can even get bottle personalized on-site. The larger gift store in downtown Lynchburg sells pretty much every kind of memorabilia you could imagine. One of the appeals of Jack Daniel’s is its remote location. If you are visiting, it is possible to do as a day-trip from Nashville. There are several hotel options in Lynchburg and nearby if you want to stay close. We were the guests of Jack Daniel’s Distillery. All opinions of the interesting and barrel-aged are our own. Have you ever been on a distillery tour? What do you think about A Tiny Town’s Big Legacy — A Visit to Jack Daniel’s Distillery? I love tours like this. Seems pretty good! Not a jack daniels fan, but if I am in the area I will definetely make a point to visit!!! Lynchburg is in a dry county that prohibits them from passing out tastings to the general public. You can purchase bottles in the gift shop. I live one county over and have taken visitors there many times and to Ms. Bobo’s Boarding House to eat. Tastings are available as part of the tour. Thanks for letting us know. We’ve updated our information. Would it be totally weird to do this with kids? We’ll be in the area this spring and it sounds so cool. There were definitely kids there when we visited, so I don’t think it’s weird. 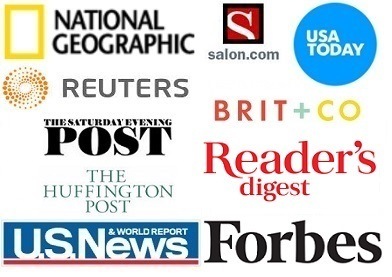 If they’re interested in how things work or good stories, the tour would be good. It’s on the longer side, though, so they need to have a reasonable attention span. I live about 10 min from the distillery but reading about someone else’s view of the town and distillery was great. I love Lynchbur, it’s an awesome place. I have toured the distillery several times. One of my visits, I had the pleasure of my dad., Joe Bailey being my tour guide.I have a lot of family that work/worked there for several years. I’ve always lived in the Moore Co area. 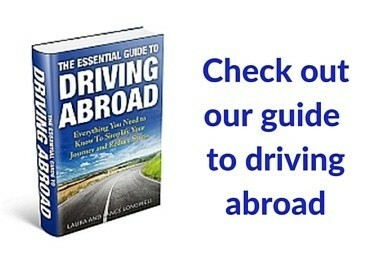 Tours use to be free..
Where is the absolute best place to stay? Tullahoma, a B&B…..? Coming down the last week of April! What is the difference between black label and green label in the making? Green label is a lighter, less mature whiskey. They age it near the center of the warehouse, so it’s less subject to temperature changes and would take on less characteristics of the wood.